Beloved angels of peace, love, and joy, we hail to thee and offer to thee the remembrance of your journey through the expression of your divine self! This gateway is enhanced through the blessing of your choice of the remembrance. This gift is one that each soul brings forward as their heart is present and their timing ready. For over two millennia this world of densified illusion has come forward to challenge, awaken, and excite the deeper cosmic knowing that rests within the heart and soul of all. Your choices of lifetimes of this experience are yours to now culminate with joy and recognition. This is the moment that your soul has come to this beloved Gaia to remember! 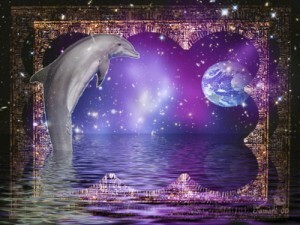 Begin with the divine knowing that each and every being that has chosen to incarnate on this planet is here by choice. There is only choice, and there are many worlds to chose from, however this world is the world of extraordinary mastery as all forms of experience are fully manifest here. The divine co-creative energy of the vast diversity of the soul is a great blessing that few choose to reclaim and remember…until now! With the expansive energies of the past two millennia, the depth of growth for each indi-vidu-will has rapidly escalated. The time for all to now move forward with this cumulative experience has arrived upon your world now. This will facilitate the continued expansion at an exponential pace over the seven physical year period that is initiating. This portal of divine recognition is also directly tied to the physical expression and its extraordinary ability to adapt and mold itself according to the presenting energy on the planet. This has been demonstrated so beautifully. For remember that you have mastered the gift of offering to yourself the wisdom perspective of the depth of illusionary experience that seeks to entice the senses into energies that may feel uncomfortable or unforgiving. Celebrate that you are aware, especially if you had not recognized that you are indeed conscious of this awareness! Celebrate that you are discovering this aspect re-awakening within thee. The aspect of the divine infinite being of crystalline light and love that has so patiently supported your many expressions is now igniting as you enter this beautiful experience of the seven year ascension that will fully anchor into your world with the full moon of March 2015. The full moon of March 2015 is the closing and the opening. It is the gift of fullness being offered to all who have already remembered themselves to freedom and the invitation for those who have yet to offer the gift of remembrance to themselves. As this time approaches with vast and rapid escalation, the energy of your divinity will begin to offer you tangible and loving reminders. These will gift you with the ability to be able to chose, in an instant, to be free of the illusion that is seeking to keep you bound to the experiences of pain, doubt and fear. Recall to yourself now the summer of the year past, 2014, and the initiation that was so beautifully given to all. Three moons that offered a shining brilliance uncommon in the densified realm. The close proximity of the appearance of these moons re-opened the ability to connect, remember and simply receive the beauty of the energy being gifted. This trinity was the initiation of the anchoring of the ascension portals. This is a question that comes from the divine seat of the soul. 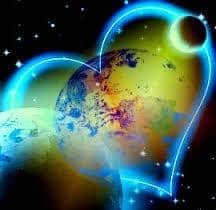 It breathes the energy of your love space and it is a question that is responded to with the grace and love of the unified field of divine presence. The power of the energy of the seven will be the major gateway energy for the seven-year window opening in March 2015. This has also been the preparation energy of the past seven months. You are invited to begin by reviewing the events and experiences that have called your attention during the past seven months. Pay attention to that which has manifested and that which has not. Invite yourself to fully gaze at the current energy that is being cultivated within your life experience. Allow your heart to honestly offer you the gaze of love that goes deeply within and to witness your predominate energy rather than judge it. As you offer yourself this gift it matters not what you discover, for all energetic experiences of this moment are in the perfect expression. It is your willingness to gaze without judgment that will offer you the freedom, release, and manifest beauty that you are now ready to claim. There is a beauty in the recognition of the seven energies that have been written about by the sages of your ancient world and restored by many of our brethren in a similar fashion to the way we interact with you now. We invite thee to simply reconnect and remember that the elemental experiences of density are all mirrors of your cosmic soul journey. All of them offer to thee the multi-dimensional opportunity to fully embrace your divinity while experiencing the gift of this worldly culminating experience. It all begins with earth. This is the energy that also permeates your root chakra of the physical body. It is also the energy that offers to you the blessing of many gifts if you chose to receive them. There is the recognition that you deserve an amazing life simply because you were born! It is not any more complicated than this, and yet another of the gifts of the earth is the complexity of life that she sustains and offers ceaselessly. Your divine mother earth gives, and gives, and gives, and she is the foundational energy of the ascension. This was strongly present throughout the month of November 2014 as the anchor energy and will repeat in a rarified ascended form in the month of May 2015. Once the earth has offered to you the stability of your life experience and the connection with the root center, the beauty of water comes alongside and ignites the creative flow of your second chakra. This is a reminder that we can balance out the dry earth with water, and your earthly form is sustained through the ingestion of flow which is experienced as water. This is the energy of your passion and your purpose, and this was the energy of the planet through the month of December 2014. What did you discover about your passion and your purpose during that month and what did you prepare? 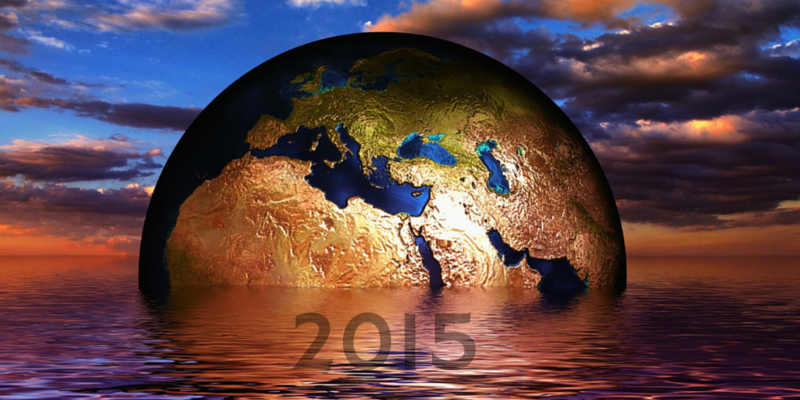 This energy will come forward once more in June 2015, to ignite ever greater expansion. Your world experience of fire ignited with the birth of this year of 2015 and sustains the energy of the third chakra in all ways. It is through your connection with the energy of fire that you are able to fully understand your true sense of sight. This comes forward through the active principles of your internal power. 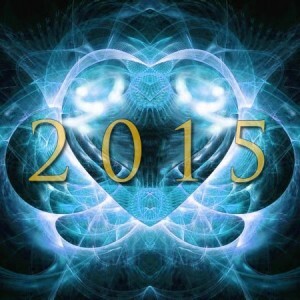 This is the soul’s call to the divine and sets the active energy of the ascension for the year of 2015. 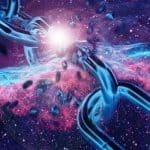 As you are able to fully embrace without doubt that once you are harnessed through your internal power you are no longer dependent upon any external means to live and express your full divinity with passion, presence and manifest love, you discover a depth of freedom that transcends the mind of form! This is the worldly passion experience, and as the one-year culmination of the first moon of the summer of 2014 comes forward, in July 2015, this transformed energy will re-emerge as the sacred flame. It will ignite a world of divine presence in ways that will defy the mind of density even more. As the flame ignites the passion, the air reminds you of your infinite nature. It reassures you through the touch of the divine that is ever present for thee to remember and connect to. This is the beauty that awaits thee through the month of February 2015. This energy is largely tied to Mercury, and the mid cycle of the retrograde of this time will be especially beautiful as your time to reconnect to the divine energy of the earth. To offer to yourself the beauty of the green earth as the reminder of the heart that you chose to embrace your birth. The heart of the mother is as infinite as the air. This is the beauty of this time. It is your wisdom filled moment prior to the anchoring of the divine moment to remember yourself as unconditional love and to trust your universal support systems. Alas, this brings us to the month of March 2015, where the anchoring of the full moon comes profoundly forward with the energy and reminder of the ether. This is the time of the expression of your divine truth. This invitation offers to all who choose to receive it, the remembrance that the ether of our world is the sky. It is the limitless expanse that calls to your soul in ways that transcend the mind and relax the ego of all. This is the moment to fully allow your wisdom to come forward and to fully trust the eternal wisdom within that has always been present and ever patient allowing you the journey and ready to reunite with your discerned presence. As August 2015 enters the fullness of earthly experience, all of the energies will come together to expand the ether. From this gathering, the great gift of inner centered ignition is yours to claim with peace, love, and joy. And yet there is more beyond these energies that receive so much vitality and expansion through the earth experience. 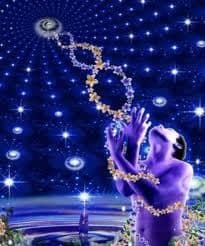 Beyond the ether is the ever-refining spiral that expands far into the multi-dimensional existence of your being that is fully illuminated and ready as soon as you declare yes. Beyond the ether is the greater gift of life, the expanded gift of eternal mind and the ultimate integration of the indi-vidu-will that reunifies with the divinity and relaxes into the ascension process as naturally as a leaf eventually falls from the tree to begin a new existence. This is a vast time of expansion and a time of rapid manifestation. As you choose to remember you will experience, and as you choose to experience you will remember! Fear not! As the fear is merely a transportation vehicle to your divinity. For if you discover the energy of fear is doing its best to hide or anchor within your physical, emotional, or spiritual form, then smile and remember that the experience of density is playing its role perfectly to ignite you to remember once more. This seven-year window is a powerful gift of presence. Everything that has been brought forward into your life experience and that is presenting now, is a blessing as you harness your truth and move forward. Smile and relax into this time releasing the need to activate the mind of density. 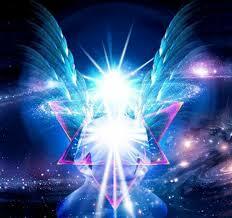 Illuminate your heart and remember that it is the gateway to the ascended presence of your chakras. the gateways will open again, and again, and again.